This legendary event is a tradition. 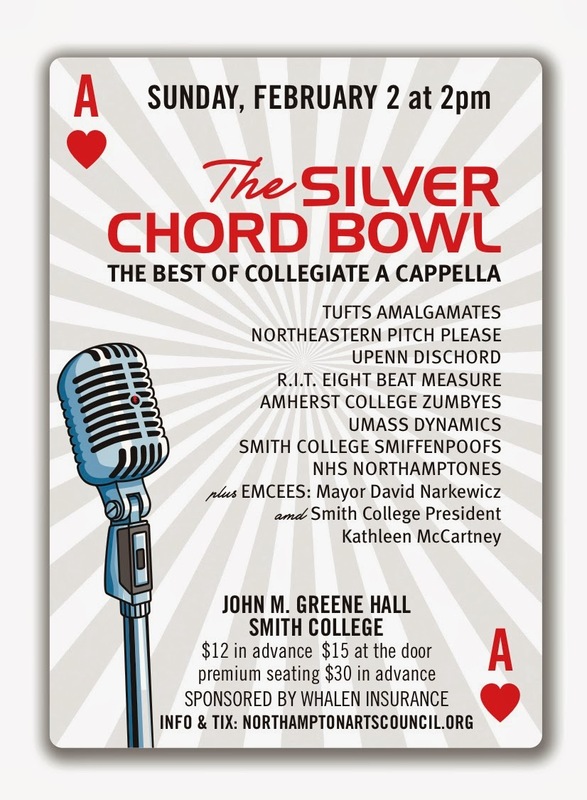 People jam the 2000 seat hall.This year we will showcase some of the best collegiate groups in the country including local sensations the Smiffenpoofs from Smith College who are fresh off a visit with the President and first lady. 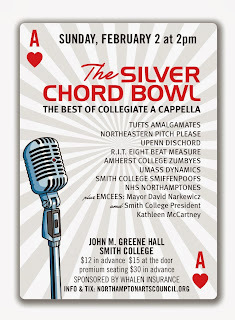 Other local favorites the Northamptones from Northampton High School and the Amherst College Zumbyes with their acrobatic choreography, as well as the Umass Dynamics who always bring their A game will be on hand at this great event! Joining the SCB lineup from Rochester Institute of Technology, we welcome Eight Beat Measure. Last year they placed third in the Mid Atlantic Semifinal round in the ICCA also capturing the award for best arrangement. This year they sound even stronger! UPenn Dischord brings an intense energy from Pennsylvania, Northeastern University Pitch Please has been tearing it up, and the Tufts Amalgamates are ready to unite the crowd at John M. Greene in shear harmonic bliss! Mayor David Narkewicz and Smith College President Kathleen McCartney will be on hand as emcees for this classic Northampton event.